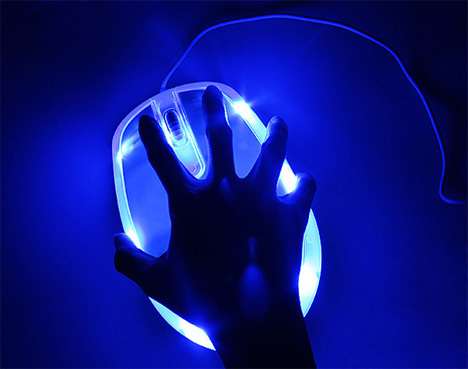 True story: we know a guy with gigantic hands who finds it impossible to use most of those new-fangled wireless mice. They are so tiny his paws just overpower them. 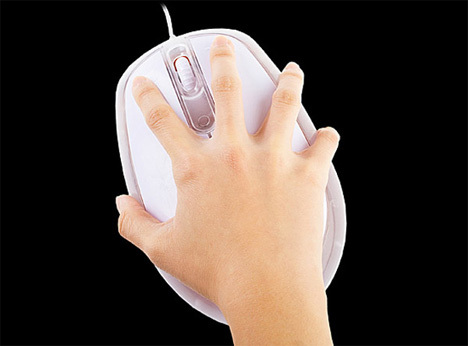 This is the perfect mouse for that guy. It’s huge enough that even the largest hands will have plenty of room to sprawl out on its massive surface. The problem would be keeping your desk uncluttered enough to fit this beast on it and still have enough room to move it around. At 175mm long and 105mm wide, it’s like trying to control your computer with a paperback book. But while the size might be the first thing you notice about the USB Big Mouse, it’s certainly not its only distinguishing feature. The crazy gadget also features flashing LEDs along the translucent edge, letting you light up the night with this bad boy…or at least your desktop. And since it’ll only run you $20, that seems like a lot of fun for a pretty low price.